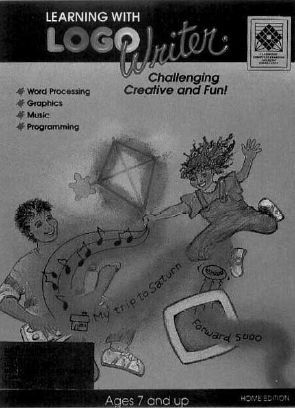 Grade-school programming students usually begin with Logo, then after a few years discard it for "higher-level languages" and spend their remaining years of study showing disdain for the language. But now, Logo Computer Systems Incorporated (LCSI) may have shattered that perception with Logo Writer, a revamped version of the age-old classic. What are the benefits of programming in Logo? First, Logo's commands are easy to use, easy to understand, and easy to master, even for kids and nonprogrammers. Also, Logo is a structured language. You can easily develop simple, complex, and even recursive procedures to perform almost any task. Thai may sound like a dichotomy, but it's not. A set of simple building blocks (the commands) can be assembled into larger parts (the procedures) to create a complete structure (the program). It's like building a mansion out of single bricks or writing a novel using single letters and words. Logo Writer combines the strengths of Logo with several substantial enhancements. These include a powerful program editor, new commands, extended graphics, and a page-and-scrapbook metaphor that simplifies the disk storage concept for young users. Logo Writer has powerful search capabilities. You can search for a text string and replace it, delete it, or insert text before it. Not many versions of Logo allow that. Single-keystroke commands help further tame the user interface. Get a directory, see onscreen help, and view the previous or next screen with the touch of a key. You can select a page to load with the cursor keys. The keyboard layout posters, adhesive templates, and conveniently sized reference cards that come with the program make it easy to learn the various keystrokes. Commands added to the standard Logo repertoire increase Logo-Writer's power. They also make programming easier by streamlining some previously awkward tasks. LCSI didn't add incompatibilities by changing the standard set of instructions; it simply added extras that can be used once you master the fundamentals. Logo Writer lets you parse a string of characters, converting them into a list. A clumsy set of instructions in many other languages, parsing is automatic in Logo Writer. This parsed list can then be used to make a complex set of decisions. This is a first step when developing artificial-intelligence programs. Most programs easily accept key-press inputs. Logo Writer programs are no exception, but the language adds direct support for hot keys, something I've never seen in any other language. Plenty of programs, especially terminate-and-stay-resident programs, are activated with hot keys. But implementing hot keys is usually very difficult. In Logo Writer, though, it's as easy as typing WHEN "Z[PR HELLO WORLD], Every time you press the control-Z key combination, HELLO WORLD will be printed on the screen. When you want to deactivate the control-Z hot key, simply type CLEAREVENTS. The entire process is quick, easy, and extremely effective in programs. I've only mentioned a small portion of the command additions. Flash and glitter play as important a role in keeping kids interested as do fancy programming techniques—and Logo Writer's beefed-up graphics support gives you plenty. Turtle graphics are a big part of what makes Logo so popular for programming instruction. Kids give an onscreen turtle commands such as TURN, FORWARD, PEN UP, and PEN DOWN. With the pen down, the turtle draws a graphic trail behind it as it moves across the screen. Students learn programming fundamentals as they learn to draw pictures by moving the turtle around the screen. Logo Writer has four turtles that move smoothly across the screen, either independently or in synchronization. Actually, the turtles no longer have to be turtles. You can set them to any shape within a 16 × 16 pixel size limit using the shape editor. Modify any of several dozen shapes provided with the package, or add to the collection by filling in blank shape tables. As you edit a shape, you see both a magnified version find an actual-size version. Move the cursor around in the edit box and hit the space bar to toggle bits on and off. The actual-size shape changes, too, so that you can see exactly what it will look like in your program. If you have an EGA or a VGA monitor, get ready to splash your programs with vivid color. 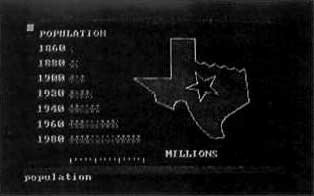 The appearance of 16-color EGA Logo programs can rival most commercial programs. Taking full advantage of the 256 VGA-color spectrum could produce a program competitive with the most graphically intensive packages. The execution speed isn't up to the snuff of commercial games, though. As with any interpreted language, Logo has operational overhead that slows it down. But if you want graphics, and speed isn't high on your list of priorities, Logo Writer fills the bill. Within several hours of first installing the program, I had made complex patterns and shapes come alive on the screen. I was able to make triangles rotate, change colors, shrink, and grow in different sequences. Where was this package when I was teaching rotations, symmetry, and similar figures in geometry classes several years ago? One of the more substantial benefits of Logo is its crossover to other subject areas. To its credit, LCSI has exploited this ability. Math concepts are the first to come to mind. Make the turtle go forward 50 pixels, turn right 90 degrees and go another 50 pixels, and you've covered distance, spatial relationships, right angles, and event sequencing. Create some random numbers, use them to make decisions, and the field of statistics has been addressed. But why is this package any better at fostering these cognitive processes than other languages and educational tools? It's the examples that are provided. The home version takes you through them step by step, while the school packages provide several activities and reinforcements. Example pages on the disk will also put you through the paces. The comprehensive working environment Logo Writer provides is also an excellent tool for other classes. Consider a biology project on the development of houseflies. You can easily integrate text and graphics to present information and graphically depict different growth stages. Demonstrate how wings and other parts work by defining the four turtles as shapes that work together. Draw a map and show migrations and population tendencies. Soon you have a full-fledged, audio-visual report—the type that gets superior awards at science fairs. Now for an exercise in creative writing. Interactive stories are gaining popularity in educational software, and LogoWriter gives you the chance to create your own. Suppose that you're writing an adventure story that takes place in Civil War America as part of an American history lesson. The story begins with a text description that sets up the scenario, and then it displays graphics representing the fragmented country. Mixing graphics and text is easy, and you can prepare and save screens in advance. Saving and loading screens is as simple as typing SAVEPAGE and LOADPAGE. Pressing a key takes you to the next scene (or page in LogoWriter lingo), where the student can choose between learning about the Battle of Gettysburg, the Battle of Vicksburg, the surrender of Lee's forces at Appomattox, or Sherman's burning of Atlanta. A single command in your program gets the student's keypress. The choice branches off and calls a sequence of pages that represent the topic. You can easily create maps and charts with the multitude of graphics commands. Turtles provide animation to illustrate events, and musical tones add a convincing final touch. You can have all the stuff of a Hollywood presentation with the impact of multimedia. One of the benefits of creating presentations with Logo is that not only do the viewers learn, but so do the creators. Organizing thoughts and information in such a way as to convincingly present them helps solidify understanding and knowledge. Fuzzy concepts become concrete and real after you've assembled them into a program. And the fact that Logo-Writer is packed with so many easy-to-use features makes it an ideal facilitator. The scrapbook metaphor is very effective at representing disk files. When you first run LogoWriter, the program displays a directory of pages to select from. Included on the pages are the scrapbook, the set of programs, routines, tools, screen images, and projects. You can link these into larger parts or leave them as stand alone creations. One nice touch is a startup routine that will automatically execute a page when it's selected. LogoWriter dedicates a section of memory to user-defined tools. The tools are subroutines that you write to simplify repetitive program routines. These can then be saved as a page and used by any other page. Just type GETTOOLS and they're in memory, completely transparent to users. For example, you could create a routine called MAKEDESIGN and save it as a tool. When the user types MAKEDESIGN 50 45, a preprogrammed function will cause a complex design to form at screen location (50,45). The tools are there in memory for the student to use at any time. Your geography presentations can include informational text and graphics. Educators will be especially happy to hear what's in the school packages. First, there's a complete guide to LogoWriter, with examples and full detail on implementation. It's more than a list of the commands and the arguments; it's a definitive book that will answer almost every question you have about the language. The included teachers' guides contain the major lesson-plan components. Objectives, procedures, evaluation techniques, and enrichment activities are all in the package—just plug them into the weekly plan book and you're in business. The activity cards provide the curricular structure for teaching Logo. They systematically follow through the language in bite-sized portions. The activities initially introduce simple ideas and then elaborate on those. It's just enough to get the creative juices flowing. With the right instructional nurturing, the students' discovery process should flourish. This is what education is all about, and LCSI should be applauded for its efforts toward this end. In spite of the positive contributions of this package, I have some criticisms. I've always been frustrated when dealing with Logo variables. There's nothing that you can't do with them, but in a language that boasts simplicity as a major feature, it should be easier to use them. I realize that LogoWriter needs to retain compatibility with other versions of the language, but something could have been done to make using variables more intuitive. As I was trying to push subroutines to the limit of the language, I found myself dealing mostly with awkward and clumsy variable manipulations. A compiler is another important feature missing from LogoWriter. What we need is the ability to create stand-alone programs that can be distributed. 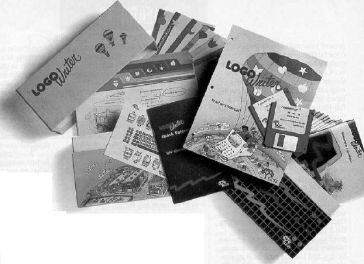 A compiler would let students give copies of their Logo programs to friends or show them at events such as science fairs without needing a copy of LogoWriter. It would also give programmers the chance to write commercial software with Logo. There's another omission, an especially serious one for what should be the ultimate structured language: Logo doesn't have a set of structured control devices. WHILE, DO, and UNTIL constructs and loops aren't possible. There's a way to fake it with clever error-trapping, but that's a convoluted process compared with using the types of controls found in most structured languages. In spite of a few omissions. LogoWriter deserves a place along with the very best educational tools. In an age of increased pressure on schools, this comprehensive package should find its way into every curriculum. Across-the-board-benefits justify its cost, and parents interested in home learning will find it invaluable. So, get your copy for home and lobby for your school district to adopt it. We'll be reaping the benefits for years to come.